I read this article and found it very interesting, thought it might be something for you. 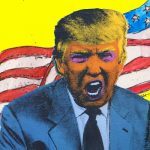 The article is called “My Nation First!” is No Better than “Me First!” and is located at http://evonomics.com/nation-first-no-better-first/. How would you and everyone else in the town react toward such a person? In the first place, you would be astonished that he exists at all. Normal people might entertain such thoughts privately, but they wouldn’t be stupid enough to boast about it. In the second place, you would quickly start avoiding the person, warning others, taking an active role in thwarting his selfish goals, or perhaps even run him out of town. You wouldn’t have to think hard about doing these things. You would do them spontaneously and so would most of the other townspeople. Together, you would contain and expel such a blatantly selfish person in the same way that the immune system contains and expels disease organisms. Yet, how many politicians have you heard who boast about putting their nation first? Donald Trump has become the Republican presidential candidate on that boast and every other nation has his counterpart. Some of us are repelled by such blatant expressions of national selfishness, but others cheer—and vote. You get the point. Blatant selfishness is toxic, regardless of the scale that it occurs. In a sense, the point is so obvious that it shouldn’t have to be pointed out. Why, then, is national selfishness at full volume while individual selfishness is on mute? Two major reasons can be identified. The first is a narrative that makes blatant selfishness appear good for everyone. This has always been implicit in the economic concept of laissez faire and Adam Smith’s metaphor of the invisible hand, but Smith used that metaphor sparingly and was fully aware of the dangers of blatant selfishness at all scales. It is only during the last half century that “Greed is Good” has been seriously proposed and put into action as sound economic and national policy, with predictable results. The second is the lack of a coordinated response to national selfishness. The reason that our bodies are so good at keeping cancer cells and disease organisms at bay is because of our immune systems, which are the product of billions of years of evolution. The reason that blatant selfishness is kept at bay in a small human group such as a town is because of a psychological analog of the immune system that is a product of millions of years of evolution. If either one of these is compromised, then selfishness spreads like a cancer (and cancer is nothing other than cellular selfishness) despite its harmful consequences. There is no global analog to the immune system and the psychological response to selfishness that takes place spontaneously in small human groups. Hence the rampant growth of cancerous “My Nation first!” ideologies. This might seem like a prognosis of despair, as if nothing can be done. But something can be done on both counts. The “Greed is Good” narrative can be replaced and an analog of the immune system can be emplaced at a global scale. Few outsiders realize the scope of the crisis that is taking place within the economic profession at this moment of history. The mathematical edifice that seemed to give economics such authority over other branches of the social sciences has collapsed. The main competing school of thought, behavioral economics, has done little more than compile a long list of results that appear anomalous and paradoxical against the background of the orthodox school of thought. Some economists have concluded that there will be no replacement for the “Big Theory” aspirations of the orthodox school. The Age of Big Theory is dead and all we can do is play with data using any perspective we like. But the Age of Big Theory is not dead, as we can see by stepping outside the encapsulated world of economics. Two Big Theories are alive and well. The first is Complex Systems Theory, which explains the dynamics of complex systems of all sorts. The second is Evolutionary Theory, which explains the dynamics of living systems of all sorts. Granted, neither of these are systems of self-contained equations with theorems and corollaries that orthodox economics tried to be, inspired by 19th century Newtonian physics. That kind of Big Theory doesn’t even exist in physics any more. Nevertheless, Complex Systems Theory and Evolutionary Theory have a coherence that the post-apocalyptic world of economics currently lacks. An edited volume titled “Complexity and Evolution: Toward a New Synthesis for Economics”, published by MIT Press and based on a 2015 conference that I helped to organize with the economist Alan Kirman and Germany’s Ernst Strungmann Forum, begins the task of rethinking economics in terms of the two Big Theories that have already proven themselves in other domains. It is only a start, but some conclusions are so elementary that they are unlikely to be wrong. One of these is that the narrow pursuit of self-interest does not robustly benefit the common good at any scale. “My nation first!” is as cancerous for planetary welfare as “Me first!” is for a small town and actual cancers are for our bodies. If that wasn’t obvious to you before, then it can be now based on the most authoritative bodies of theory that are out there. The only way to solve the problems of modern existence is to formulate policies with the welfare of the whole planet in mind. “Our World First!” should be the slogan of the enlightened politician and electorate. We should recoil from the “My Nation first!” politician in the same way that we recoil from the “Me first!” individual. Putting “Our World First!” into action might seem like an impossible goal, but consider: All of the nations that command our allegiance today are only a few centuries old. Ten thousand years ago, there were no large polities of any kind, only tribes of a few thousand people. Part of the new synthesis for economics is to tell the story of human cultural evolution in a way that is seamlessly connected to the story of human genetic evolution and the genetic evolution of other biological entities that function well as corporate units, such as multicellular organisms and social insect colonies. When human cultural change is understood as evolution in warp drive, then 10,000 years is enough to produce large-scale social entities that do have something analogous to the immune system and our psychological response to selfishness in small groups, which is why they function as corporate units as well as they do. In principle, there is no reason why the scale of social organization can’t be elevated still higher. If “My Nation First!” is possible, then “Our World First!” is also possible. All of us can begin by reacting to a “My Nation First!” politician in the same way that we react to a “Me first!” person in a small town. In addition, we must work hard and fast to rethink economics in terms of the two Big Theories that have already proven themselves in other domains. Time will not wait. 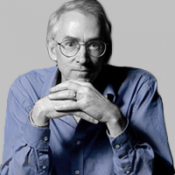 David Sloan Wilson is president of the Evolution Institute and SUNY Distinguished Professor of Biology and Anthropology at Binghamton University in New York. His most recent book is Does Altruism Exist? Culture, Genes, and the Welfare of Others? (Yale/Templeton 2015).